Goedknegt, M. A., Shoesmith, D., Jung, A. S., Luttikhuizen, P. C., van der Meer, J., Philippart, C. J. M., van der Veer, H. J., Thieltges, D. W.
Invasive parasites can spill over to new hosts in invaded ecosystems with often unpredictable trophic relationships in the newly arising parasite-host interactions. In European seas, the intestinal copepod Mytilicola orientalis was co-introduced with Pacific oysters (Magallana gigas) and spilled over to native blue mussels (Mytilus edulis), with negative impacts on the condition of infected mussels. However, whether the parasite feeds on host tissue and/or stomach contents is yet unknown. 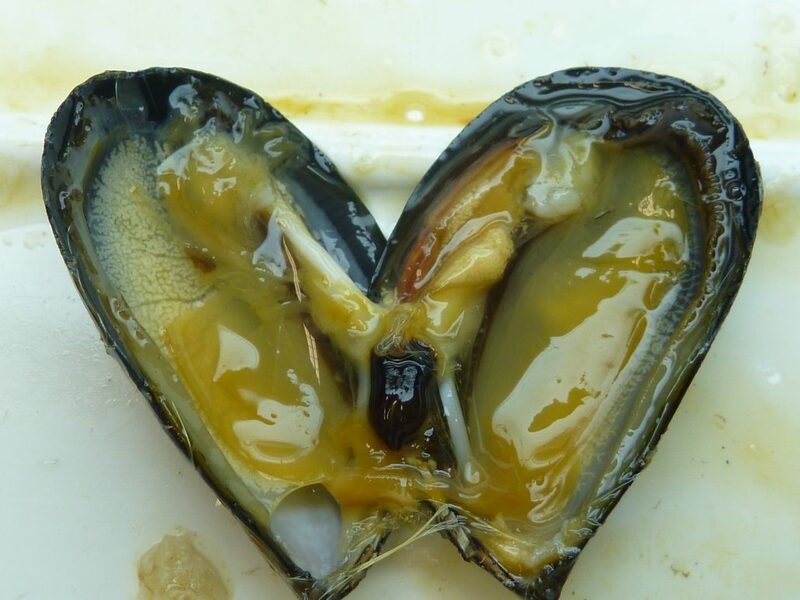 To answer this question, we performed a stable isotope analysis in which we included mussel host tissue and the primary food sources of the mussels, microphytobenthos (MPB) and particulate organic matter (POM). The copepods were slightly enriched in δ15N (mean Δ15N±S.D. ; 1·22 ± 0·58‰) and δ13C (Δ13C 0·25 ± 0·32‰) with respect to their host. Stable isotope mixing models using a range of trophic fractionation factors indicated that host tissue was the main food resource with consistent additional contributions of MPB and POM. 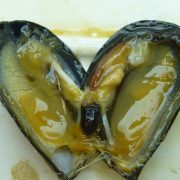 These results suggest that the trophic relationship of the invasive copepod with its mussel host is parasitic as well as commensalistic. Stable isotope studies such as this one may be a useful tool to unravel trophic relationships in new parasite-host associations in the course of invasions.